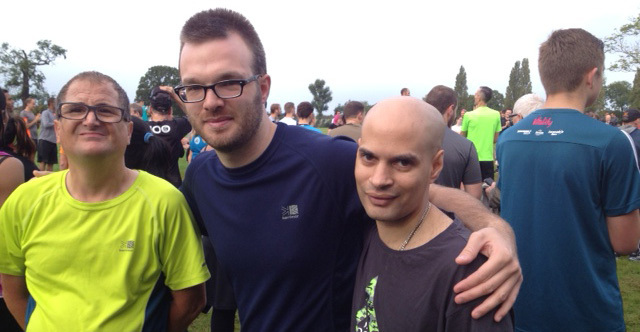 Two reports came in recently from projects encouraging physical activity for and community participation by people with a learning disability, writes London Catalyst’s Director, Victor Willmott. Bexley Mencap’s healthy lifestyles club – which we gave a grant to earlier in 2017 – provides a range of activities to combat inequalities in health and improve social inclusion. 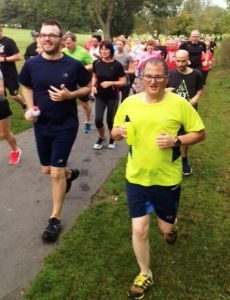 This is exemplified in the participation of some of the club’s members in the local running club: values in action and a credit to the people involved, the groups and the attitude of the community. See for yourself in these photos. In the autumn term, one of the said support workers called us and on the pretext of a short trip, informed us that ..V.. will not be attending class for a couple of weeks. After he did not come back for several weeks …. we made several phone calls to the house and were fobbed off by one or another support worker, until finally one of them told us that the participant had changed his mind about class and is no longer interested. At first we took this at face value, despite our reservations. V had always expressed pleasure in class, smiling and dancing happily. Later, in the term we were contacted by a physiotherapist … to enquire about V and his movements in sessions. She was surprised when we told her that he was not attending, as the manager of the house where he lived had referred V for our opinion. We shared our concerns about his absence and our worry that this might have been a decision made by the support staff and not the participant. She relayed this to the manager of the house .. [who]… was extremely surprised by the absence of the participant involved… Although he was not able to confirm or deny this, it appeared that indeed staff had made a decision on behalf of the participant without consulting the participant or indeed without authorisation from the manager. New staff members were assigned to V by the manager and in the second term he returned to class and … continued to attend class regularly and the new support worker accompanying him even said that in between terms … he asked regularly about the class and could not wait to restart. This case study eloquently highlights a failure of community support whilst capturing the powerful commitment by others to the underlying values of good social care. There is also the fragility of the space in which people make their choices and the assurances they can expect in the delivery. It’s tempting to blame the system, lax management and a worker’s breach of trust. We can’t ignore the economics that serve to provide care on the cheap, the casualisation of care. Powerlessness shapes the choices of care staff too and, although we can look at ways of improving recruitment and training, fundamentally we set and police our own standards through the values apparent in our behaviour and conduct. It is the small incidences that begin a path to powerlessness; a small adjustment that serves the provider rather than the choices of the individual. It is also tolerance of these discrete abuses; take, for instance, the 15 minute care slots, ill-timed meal arrangement or an indifferent community transport driver dropping someone off on the wrong side of the road. This case study brings a reminder of how small impediments to independence and true participation in society occur. In an underfunded and fragmenting care system, we may be growing used to such failings of social care. 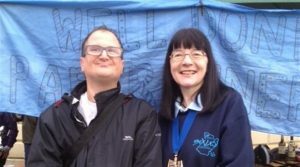 It helps to keep in sight – as Southwark Disablement Association did so diligently, and Bexley Mencap exemplifies – of what we expect of an inclusive society, and that we don’t hesitate to point out the careless cruelties of indifferent care.